The Icebreaker Multisport Ultralight Micro Socks are ankle-height merino wool socks that are lightweight and cool. A decent choice for your sock arsenal. 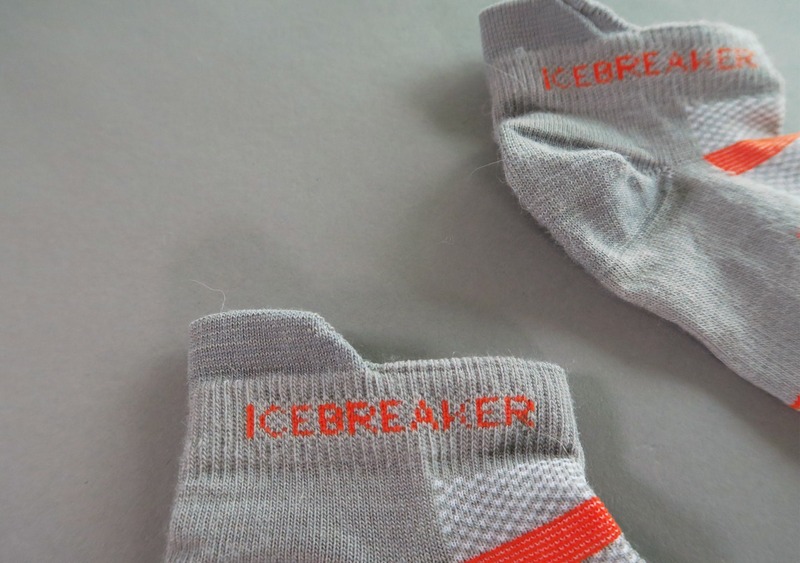 In this review, we’re looking at the Icebreaker Multisport Ultralight Micro Socks. Yeah, it may not be the most exciting review—but ask any seasoned traveler about socks and you’ll find out pretty quickly they’re nothing to skimp on. These are a thin pair of merino wool socks (ankle height) from Icebreaker. The ones we have are gray/red, but they also come in a black/green combo and a darker gray-on-gray. They’ve definitely got a sporty, athletic look—if that’s your thing, cool. 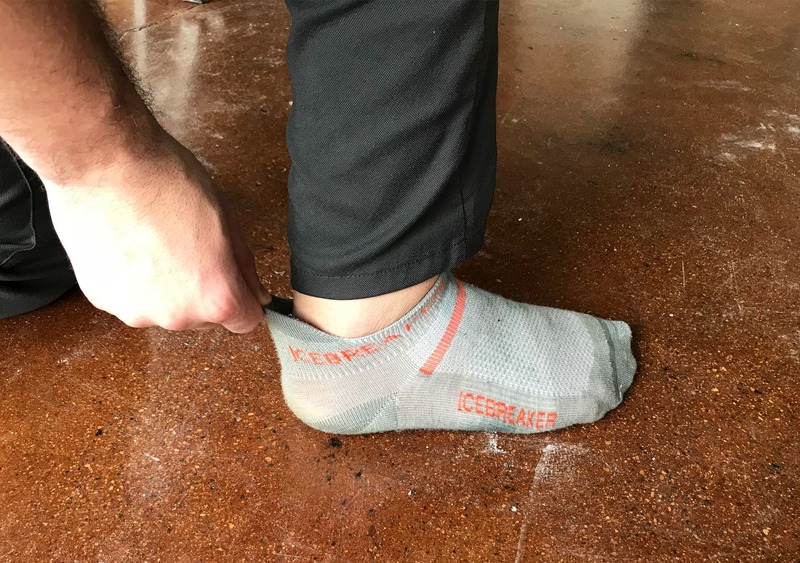 Some people may be thrown off by the “ICEBREAKER” text on the ankle, and it can actually leave a temporary “cattle brand” on your foot if your shoes are tight enough. There is also a little pull-tab on the back of the ankle for pulling the sock on. This adds a bit of convenience, but we don’t find it 100% necessary. They also have an L and R to designate the left and right socks. Again, we’ve been doing fine without this for quite a while now, but some people may find it useful. We are professional sock-wearers though, so your mileage may vary. These are marketed as an athletic sock and Icebreaker says they’re best for hiking and “adventure,” so if you’re doing any kind of adventuring you absolutely must wear these socks. Just kidding, but they are great multi-purpose socks. We’ve found them to be a little more breathable and cooler than other, thicker merino wool socks—like the ones from Darn Tough. And they’ve still got that magical merino wool property of being cool when you’re hot and warm when you’re not—just in this case, they will be on the cooler side compared to the thicker alternatives. We should note that these socks are actually a blend of three different fabrics. They are 63% Merino wool, 35% nylon, and 2% lycra. This is very common with wool socks—basically, the nylon adds some durability and the lycra adds some elasticity. Should you be upset that they’re not 100% Merino wool? No. Not only is it nearly impossible to find a 100% merino wool sock, but you probably wouldn’t want one. They would have no stretch and some serious durability problems. In general, if you’re looking for warmth you would want more merino wool in your blend, and if you’re looking for durability you would want more nylon. Keep in mind that you should only defer to this if you are comparing socks of the same thickness. For example, a really thick sock might have a low ratio of merino wool to nylon, but it would still be warmer than a really thin sock with a high ratio of merino wool to nylon. Ratios and stuff. And if you’re now totally confused about your sock choices—don’t worry. 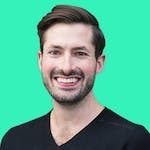 Getting into blend ratios is hardly necessary unless you’re climbing Mount Everest or you just have an intense passion for socks—in which case, shoot us an email, because we want to talk to you. The durability is pretty good, although not quite as heavy-duty as the Darn Toughs. We’ve been using these for about three months and there are a few small holes, some pilling, and a couple weird spots from shoe interiors and general use. They kind of have that “dirty” look to them, even after they’ve just been washed. A darker color would probably help with that. Overall, pretty much what we would expect from a pair of socks, especially given how thin these are. With the merino wool, you can probably get three to four uses between washes with these socks. Again, not as much as the Darn Toughs, but that is mainly because these are thinner. They can’t absorb quite as much sweat (yuck) as the thicker socks. At the time of this review, these socks are around $12 to $15, depending on where you buy them. We’ve found that most merino wool socks are within this price range. You should be getting the same bang for your buck compared to other merino wool socks of similar weight. Ultimately, these are a great pair of socks to have in your arsenal because they are thin, lightweight, and cool. 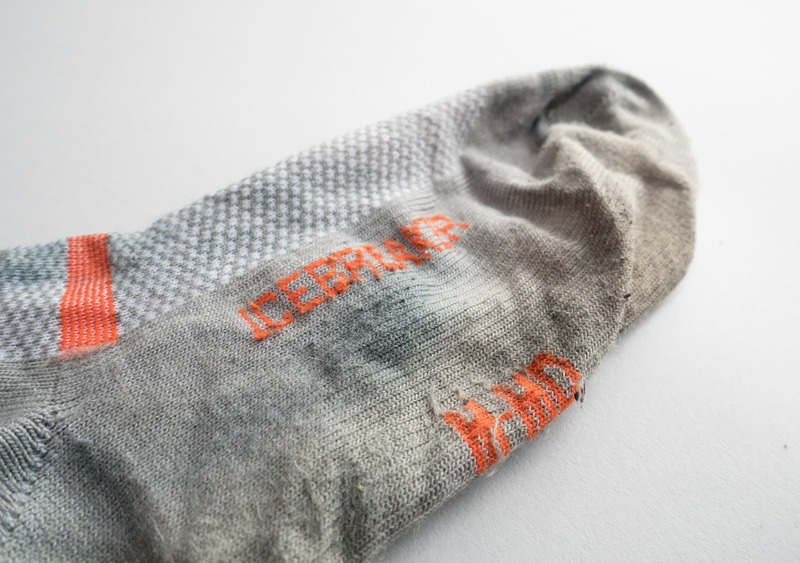 While the durability isn’t anything to write home about—they are socks, after all—you should be able to get a good amount of use out of them before anything catastrophic happens. Comfortable, working as intended. They’re socks. A few small holes, pilling, weird discoloration in a few spots. Reasonable price for the quality. Not the most durable socks we've tested. Discoloration from shoes and wetness. Branding can leave a temporary "cattle brand." 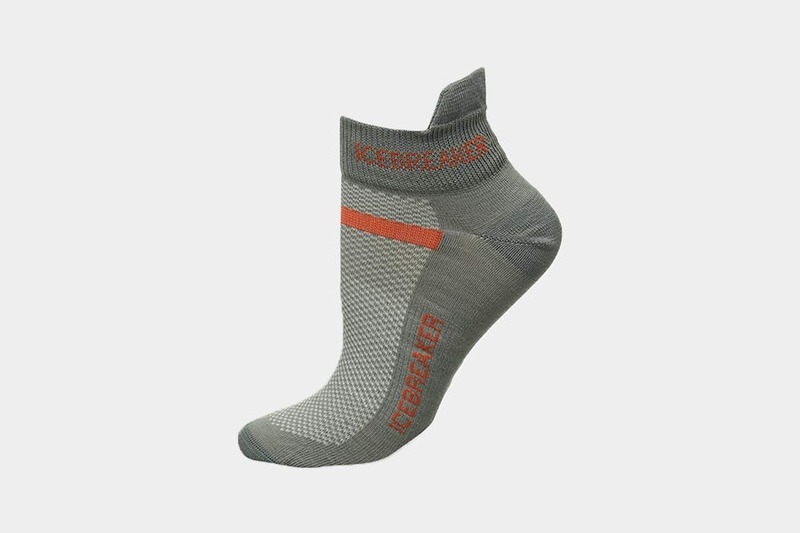 The Multisport Ultralight Micro Socks from Icebreaker are a solid pair of socks to add to your collection. They are thin, breathable, and comfortable. While they may not have the warmth and durability of thicker socks—like Darn Toughs—their lightweight nature is perfect for hotter climates. Made with merino wool, they will last far longer in between washes than cotton socks, and can be easily hand-washed/air-dried.